I don’t think I am a very self observant person…if that’s a thing. I’m very observant of things around me, but not of myself. In simple terms….I’m on day nine of the 21 Day Sugar Detox and I’m not sure what differences I see. Anyways, what I do know is that this detox has made me cook some great new recipes! Most of them have been from Diane’s 21 Day Sugar Detox book but I came up with this one all on my own! It’s simple and has made a great dinner for the past few nights. 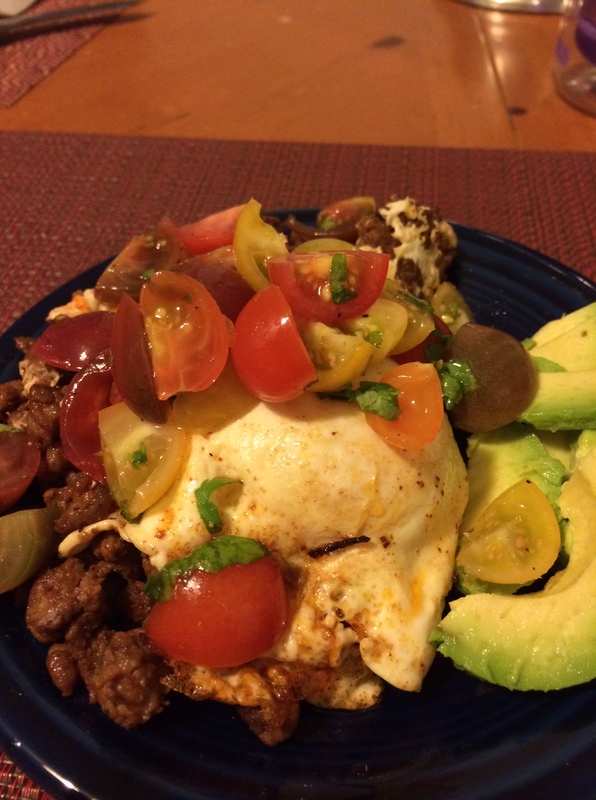 I think I need recipe naming tips though…Chorizo and Eggs with Heirloom Tomato Salsa…needs work. 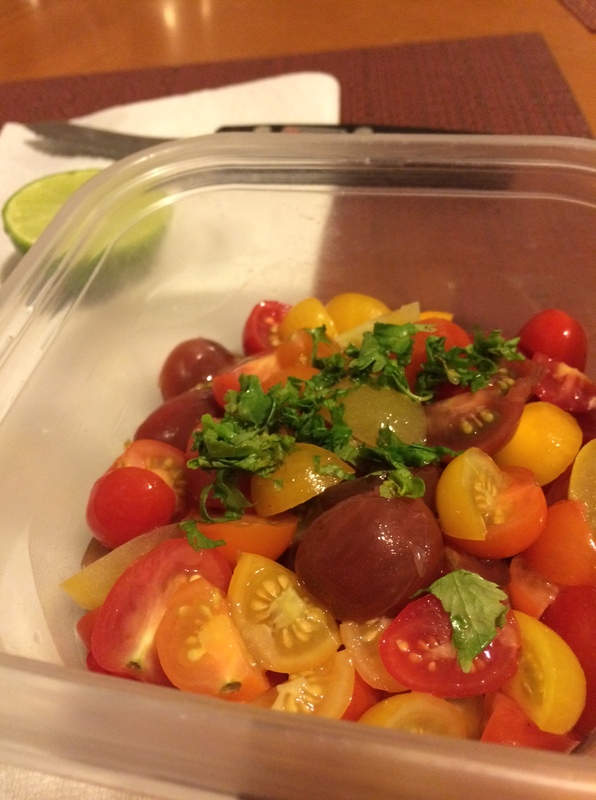 First prepare your heirloom tomato salsa. Cut the tomatoes into fourths and throw in a bowl. Once they are all cut up squeeze your lime over them. Cut up your cilantro and add along with salt, pepper, and garlic to taste. Now take your chorizo and put it in a pan over medium heat. Cook for 7-10 minutes or until brown and cooked through. Make two spots for your eggs and crack them into the pan. I got this idea from Juli at PaleOMG. Cook the eggs over easy. 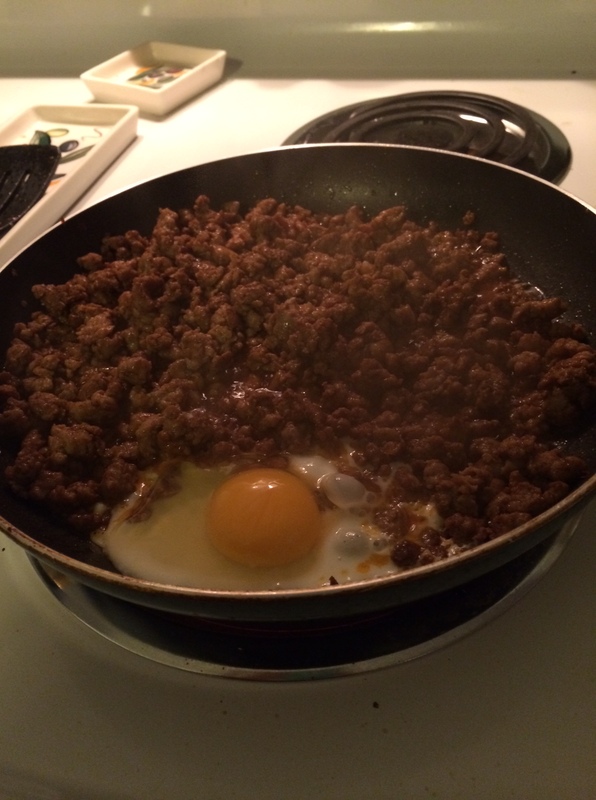 Once the eggs are done scoop a serving of chorizo onto a plate with your eggs on top. Add your salsa on top of the eggs. I also added some avocado! It may not look pretty, but it tastes very pretty! Are you doing any type of detox or diet right now? Are you seeing differences? Keep it up! Interesting what you say about your break outs. My skin is worse than ever before. I wonder if it is my diet…. I think diet can play a big role…but also stress and hormones. I think that May be my culprit!